Warm greetings and hearty congratulations to you on getting admission at R.V.R. 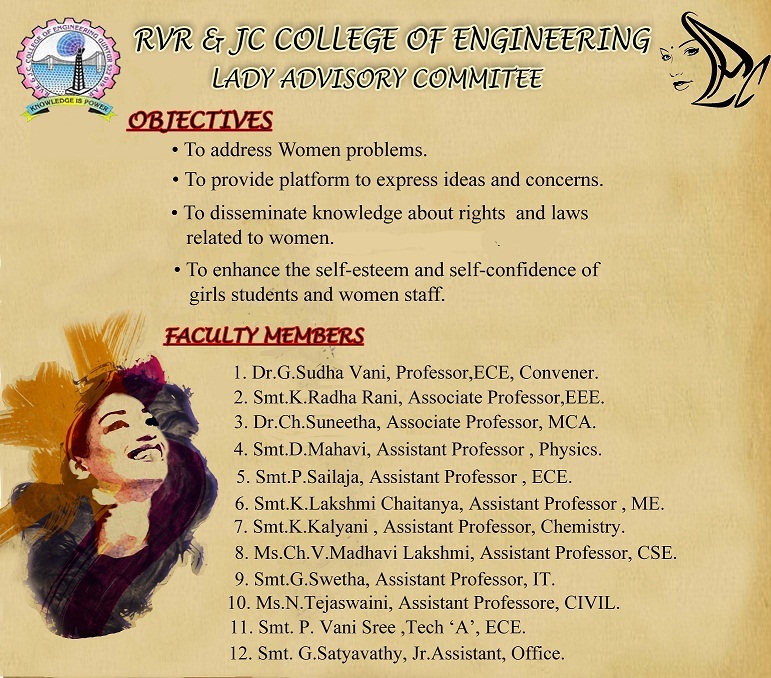 & J.C.College of Engineering. You have decided to study at one of the best academic institutes in this state, We assure you that with the kind of academic and extra-curricular infrastructure we have, you are about to embark on a special voyage that will offer you some of the best moments you have ever lived through and which you will cherish for the rest of your life. The atmosphere on the campus is unique and we are sure you will enjoy it and make the best use of it. Rest assured that our academic standards are rock solid and are attaining newer heights everyday. We are always ranked well among the engineering institutes in the country and this year is no exception. Every effort is continually made to enhance the student life that you are going to be part of as soon as you arrive. We sincerely hope that you do take part in some of the numerous NCC ,NSS and cultural activities that are routinely on offer during the year. We strongly urge you to blend the studies and play (and cultural activities) with the right balance, and use this opportunity to build a well rounded personality by the time you graduate as a true RVRian. We also urge you to take note of the rules and regulations that exist for all of us here.we are referring to both academic guidelines and also the rules for conduct and discipline.